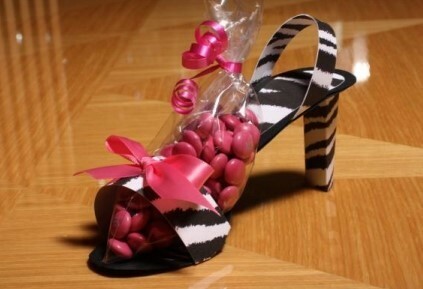 If you want to impress your guests these are the stiletto favor boxes for you! When we came across the work of this artist we just knew we'd love to offer her art. And she graciously allowed us to! Each shoe is meticulously hand crafted. 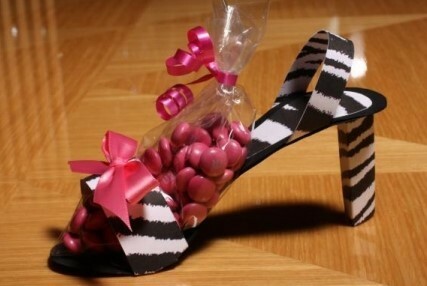 These shoe favor boxes are approximately 6 1/4" long, 3 3/4" high and 2 1/2" at their widest. They are made of heavy card stock and are sturdy (not flimsy at all). Candy not included. Minimum order is 20 shoes.